To plant is human–to succeed is divine. 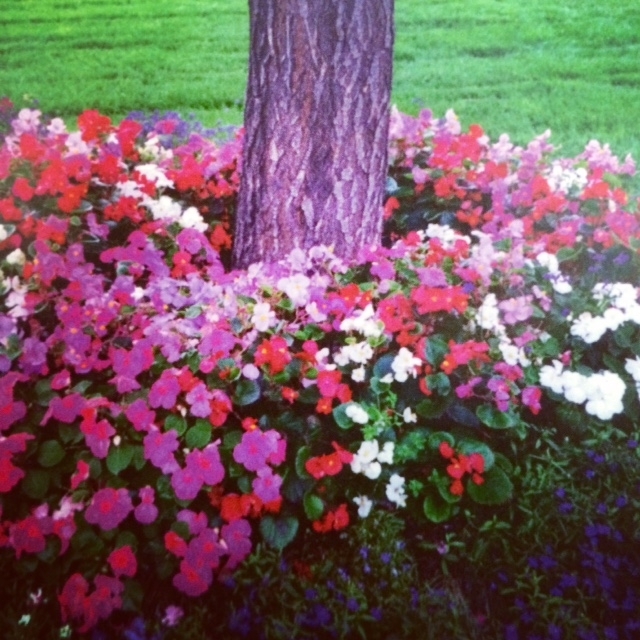 Annuals are indispensable for filling in gaps between perennials. They are obliging plants and will bloom until the first frost. 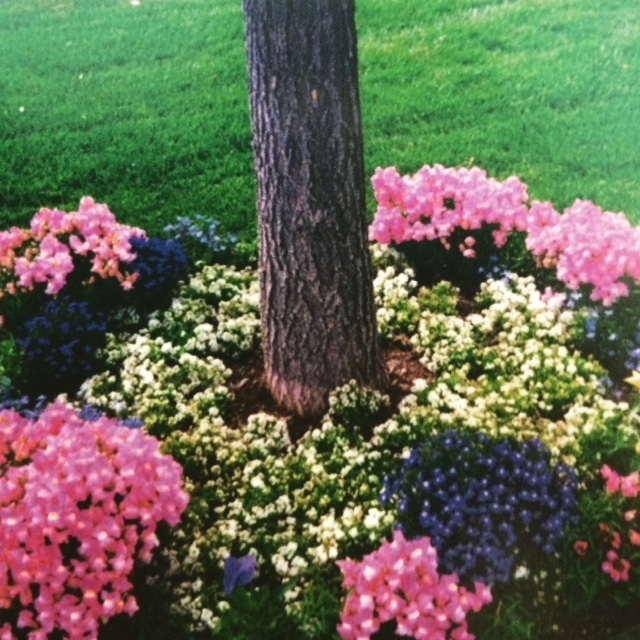 A circle around a tree or birdbath can be stunning. The phrase “be fruitful and multiply” in the Book of Genesis applies to perennials; annuals, on the other hand, complete their entire life cycle in one year, focusing all their energy into making seeds, which is why deadheading is important in prolonging the flowering period. 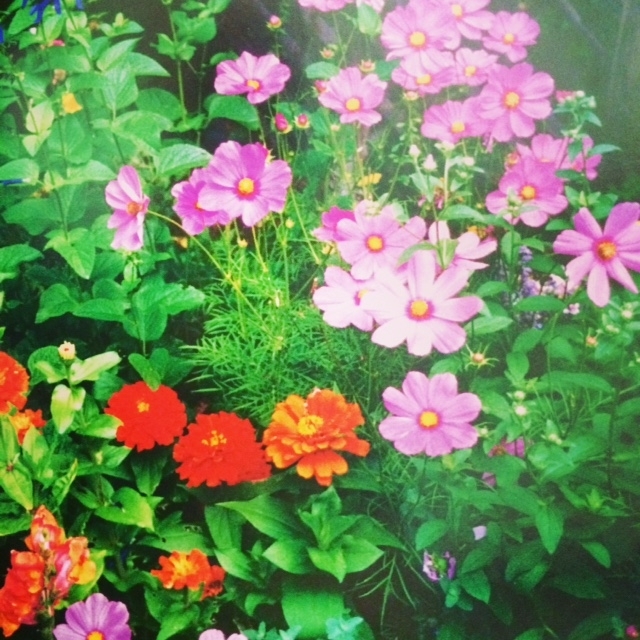 While the blooming period of perennials is three or four weeks, annuals bloom more quickly and for a longer time. Although their stay in the garden is ephemeral, it’s brilliant while it lasts. In colder climates, annuals brought from the cozy environment of the nursery should be hardened off for a few days before being planted. For example, one should bring them indoors at night. 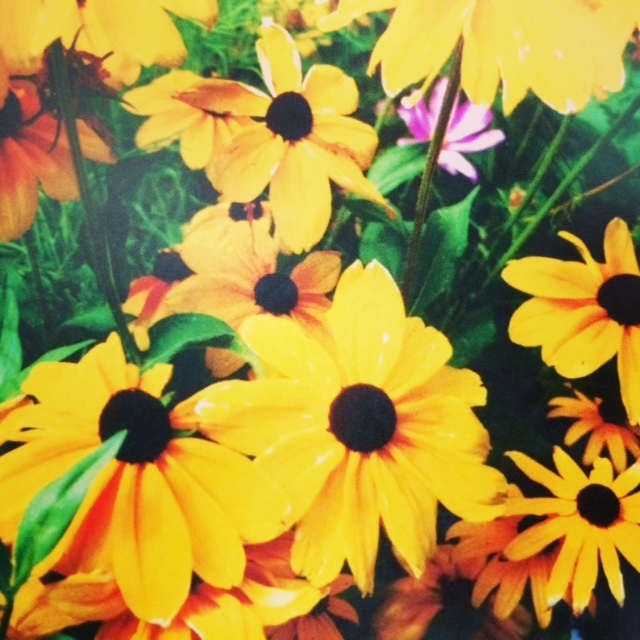 If perennials are the batter of the cake, economizing on compost is like leaving out the eggs or sugar in a recipe. Dwarf snapdragons, lobelia erinus and alyssum. 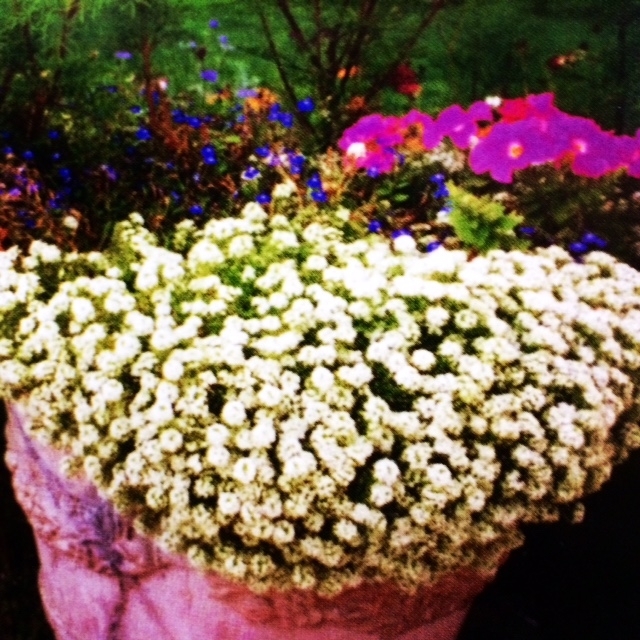 Alyssum in a container, spill over in a pretty cascade. Cosmos bipinnatus and zinnias fill in gaps between perennials. 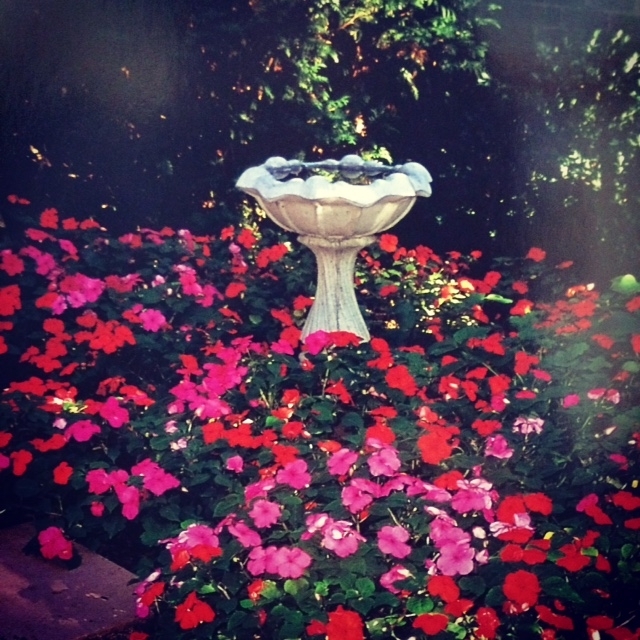 Birdbath surrounded by flowering impatiens.